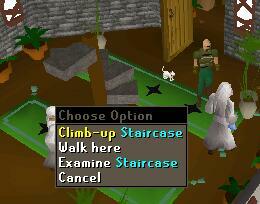 step1: Take the 4 raw meat inventory, and then run to north of Taverley. 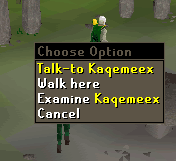 talk to Kaqemeex, select you searching a quest. 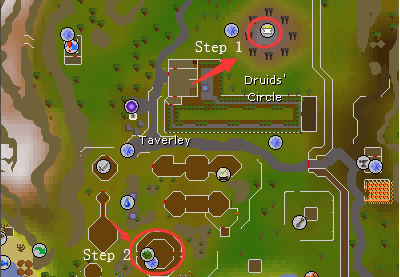 step2: Run to south, herb store. 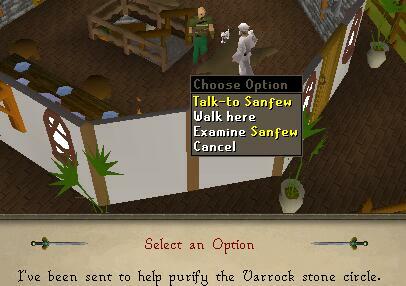 talk to Sanfew, that can be found at upstairs in the Herb shop in Taverley. 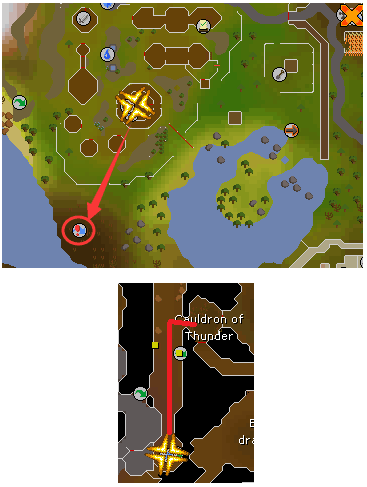 Bring the four meats to the Cauldron in Taverley Dungeon, and use them on the Cauldron. Go back Talk to Sanfew. And then Go back Talk to Kaqemeex. 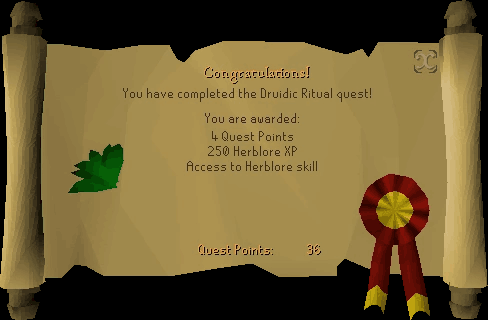 Quest complete.